Come along and follow them! 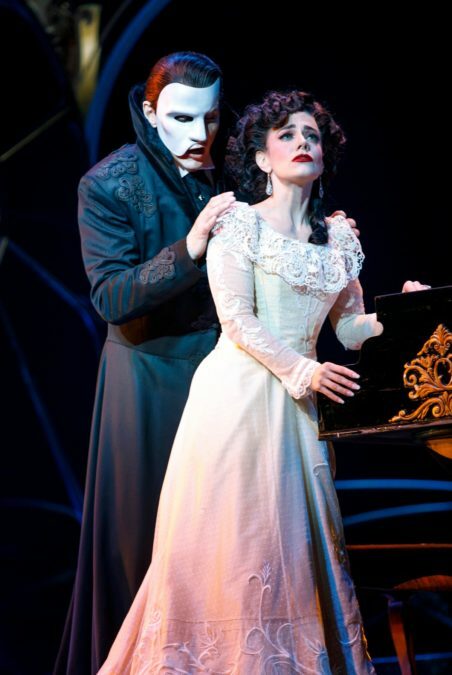 Award-winning opera stars Meghan Picerno and Garðar Thór Cortes are starring in the North American tour of Andrew Lloyd Webber's Love Never Dies, The Phantom Returns as Christine Daaé and The Phantom, respectively. The touring production—a sequel to Lloyd Webber's blockbuster musical The Phantom of the Opera—began with a special preview engagement at Baltimore's Hippodrome Theatre on October 3. Take a look at photos from the enchanting production before it makes its way to cities all across the country.